The Kenyan trio of David “Calabar” Owino ,Jesse Were, Anthony Akumu are part of Zambian side,Zesco United FC, squad preparing to face Ivory Coast’s ASEC Mimosas in a CAF Champion League First Round first leg on Wednesday 7th,2018. The crunch tie will be played at the Levy Mwanawasa Stadium in Zambia. 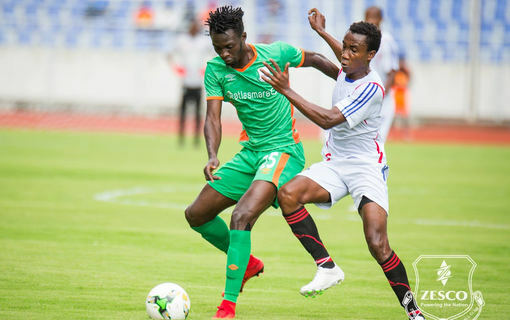 During the last meeting between Zesco United and ASEC Mimosas , in the third and fourth round of Pool A group stage of the Champions League in 2017, Zesco United won 3-1 in Ndola, Zambia before pushing for a 1-1 draw in Abidjan, in the second leg. Zesco United hammered JKU from Zanzibar 7-0 to make it to the first round of CAF Champions League. David Owino played the entire Preliminary match while Jesse Were was pulled off in the second half. Akumu watched the action from the bench.